Darts is basically a game of target blended with intelligence. Intelligence coupled with precision and concentration in order to score the points that are required to bring it to zero. Hand and eye co-ordination is a must for this game. It is a game played with equal vigor by the young and the old at the same platform. Last but not the least it is an inexpensive game and can be played in a small area. All India Darts Association, though still very young, has done a plethora of events to popularize the game and remodeled it from a game of elite to a game that can be played by the ordinary mass. It has organized competitions in all levels like Clubs, Schools, Corporates, States, Zonal and National among others. 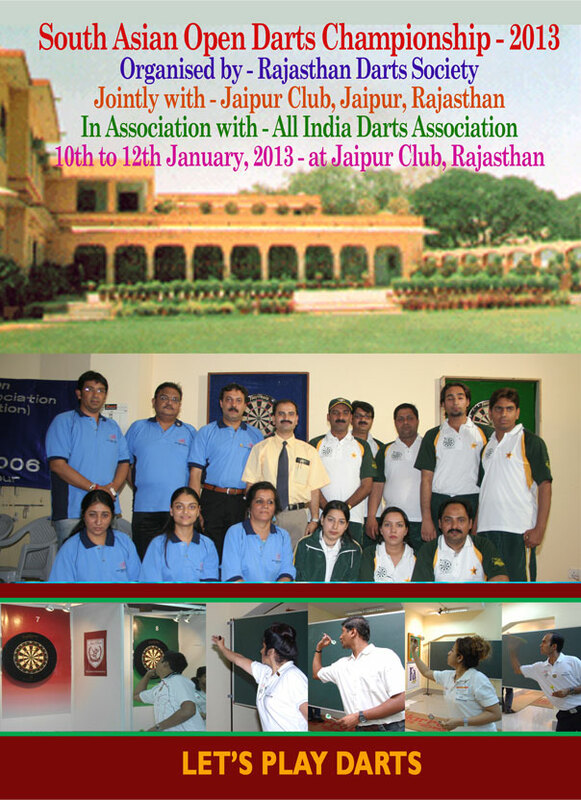 From its inception in 2000, All India Darts Association has traveled a long distance. It has distributed free Dart Boards to many Schools, Clubs and even individuals who have demonstrated tremendous potential to grow. 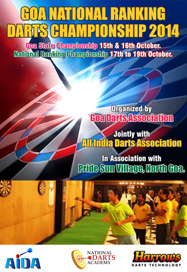 At present All India Darts Association has 15 affiliated State Associations. Thus we grow hand in hand, shoulder to shoulder and therefore in our endeavor for excellence we have organized Fifteenth National Championships. We have also held four Zonal Championships, State Championships, Merchants Cup, Inter School, and Inter State Championships. The State Bodies have also been organizing the State and District level Championships regularly. All India Darts Association sending Indian team’s for various International Competitions like Asia Pacific Cup, Singapore Open, Malaysian Open, Philippines Open, Winmau World Masters and World Cup Darts where around 69 affiliated countries of World Darts Federation taking part. All India Darts Association is also strengthening itself for organizing international Competitions like India – Pakisthan Friendship Cup, and in association with South Asian Darts Championship, Asian Darts Championship and Indian Open in the year 2018. As a young organization, we have received appreciation and support from many corners of the society. To boost our spirit we have received encouragement from Sports Authority of India and also Indian Olympic Association. After this National Championship certain players will be identified who will be adopted and promoted with all possible technical, tactical and administrative support. Inter School Darts Championship witnessed participation of around 32 Schools. Another feather to the All India Darts Association’s camp was the Merchant’s Cup Darts Championship. Corporate Houses who participated are Tata Steel, Eveready, Nippo, Salora, Shalimar, Ford, Tata Consultancy Services, Happy E-Zone, D.P. Ahuja & Company, Cablecomm, Citibank, Seagrams, Shaw Wallace, Bacardi, Britannia, and Hindustan Lever amongst others. During our visit to WDF World Cup and also the WDF General Meeting we have received very good response from the organizers. Mr. Roy Price, Director - Tournament and other officials of The World Darts Federation appreciated us for our promotional work for the Clubs, Corporates and schools. International Darts manufacturing Companies Harrows have assured us for their support by way of providing International Standard Darts Equipments for the promotion of the Sport of Darts in our country, as well as in the South Asian Countries. Further, it gives us immense pleasure to inform that we had also organized MP’s Darts Championship for the first time in our country. Also we have presented Darts equipments to the Constitution Club for the Parliamentarian. 15 State Association’s affiliated with AIDA namely Maharashtra, Gujarat, Assam, Karnataka, Andhra Pradesh, Orissa, Bihar, Chattrisgarh, Punjab, Tamilnadu, West Bengal, Uttar Pradesh, Delhi, Uttarakhand, Rajasthan and Jammu & Kashmir. Mr.Rajiv Pratap Rudy, Hon’ble MP, President – AIDA will take initiative to organize 1st Indian International Open 2019 to promote the sports in all level. Mr.Sanjiv Kumar, Working President – AIDA, assured us to provide the platform to popularize the sport of Darts among the schools across the country. 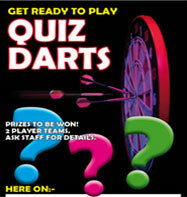 Our initiative is to popularize the game through school students has been appreciated by the World Darts Federation. Mr. Sudhanshu Roy, Vice–President, AIDA and Executive Director – NSNIS, Patiala, Sports Authority of India, had taken initiative to organize the International level workshop and Training with the help of International players. Also organizing National Level Championship to give more tournament exposer to our young players.